For healthy teeth that could use a little makeover, porcelain veneers in Twin Cities are the perfect solution. Porcelain veneers are like false fingernails for your teeth. These thin ceramic shells are bonded to the tooth’s surface to hide everything from tobacco stains to bad chips and cracks. Veneer can transform the size, shape and appearance of each tooth, and create a more uniform smile. Veneers can also fix gaps between teeth without using braces. St. Paul dentist Dr. Serafimov offers porcelain veneers to turn tired teeth into a Hollywood smile. Porcelain veneers are ideal for discoloration that does not respond to teeth whitening treatments and major imperfections that can’t be fixed by dental bonding. Porcelain veneers procedure at our St. Paul dental clinic can be placed in as few as three appointments. The results are also permanent and long-lasting. The first step is a consultation with your dentist in St. Paul. You will discuss what you want to achieve with your smile. Dr. Serafimov will then examine your mouth and make treatment recommendations. 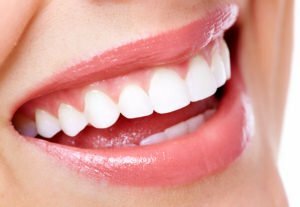 Veneers are applied to healthy teeth, and underlying problems like decay and gum disease must be treated first. Dr. Serafimov has found that placing veneers on 4, 8 or 12 teeth at a time creates the best and most natural look. Each patient is different, however, and your dentist will work with you to create a treatment plan that fits your goals and budget. We want you to be 100% happy with the results! Before veneers are applied, your dentist will prepare the teeth by removing a bit of enamel from the surface. This is done to make room for the veneer. Following preparation, teeth impressions will be taken to serve as a model for the permanent veneer. You’ll wear temporary coverings for your teeth while you wait for the veneer to be made. Once ready, the veneer is attached to the tooth with a special adhesive, trimmed, adjusted, and polished. Find out if you are a candidate for porcelain veneers. Call 651-455-1601 or click here to make an appointment.